Sports photography is my passion. 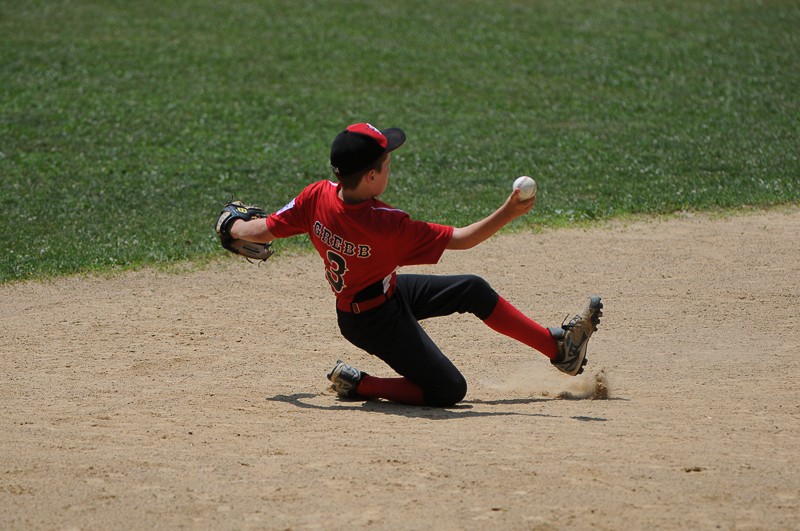 There is nothing more challenging, and thrilling, than trying to capture the action on the field. 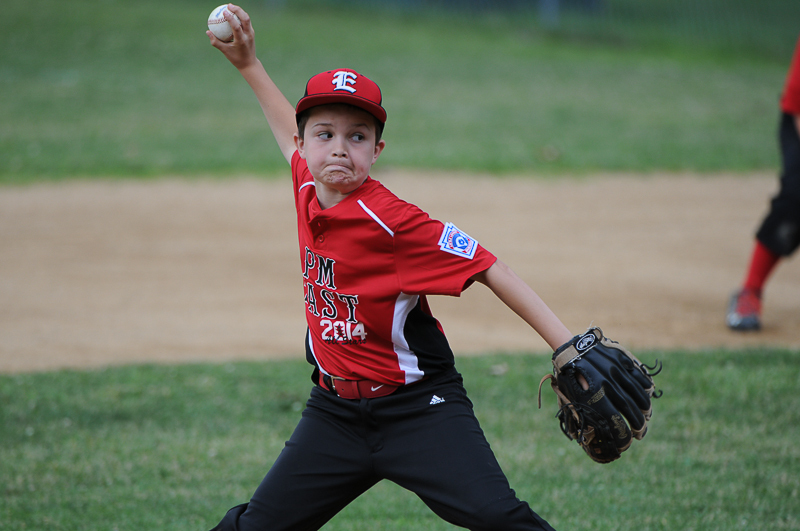 Today, I had the opportunity to photograph the 9/10-year-old All Stars between Pocono Mountain East and West End. I really enjoy this age for baseball. The players are serious about the game and yet still want to learn the finer points of the game. They are plain down teachable! The games are fun to watch, too. Parents sit on the edge of their seat or pace back and forth like an expectant father in a maternity waiting room! 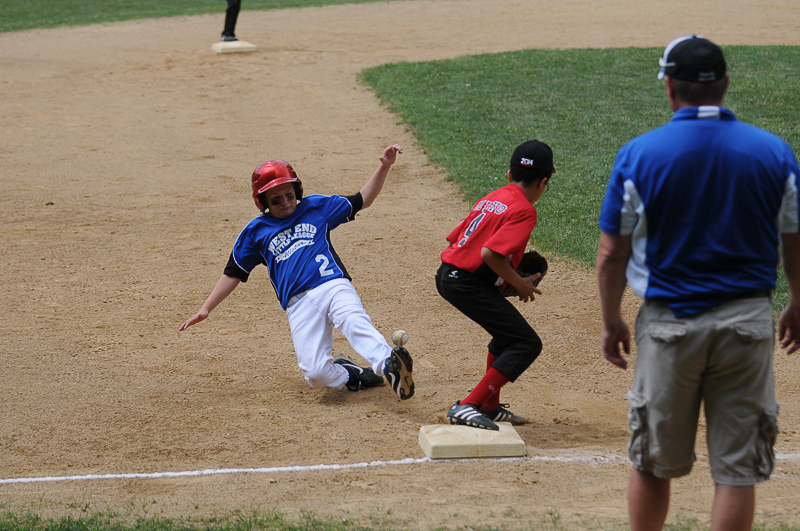 No, these Little League All-Star games are not for the faint of heart! And my job is to capture the action on the field with my camera. It is a challenge I embrace and enjoy thoroughly! Today I carried three cameras at times because a lot was happening and a lot was expected of the sports photographer. Shooting sports is not only my passion, but I am learning it is one of my real talents in photography. I am not trying to brag; I am just learning more about myself and I am learning that of all the types of photography out there, sports photography is what I do the best. I believe my nine years of coaching Little League and three years of coaching Middle School football have a lot to do with this, too. Serving as a freelance stringer for the Pocono Record and the Easton Express-Times teaches me a lot, too! I don’t get it right on each and every shot, but I am getting more consistent at getting it right at every game. 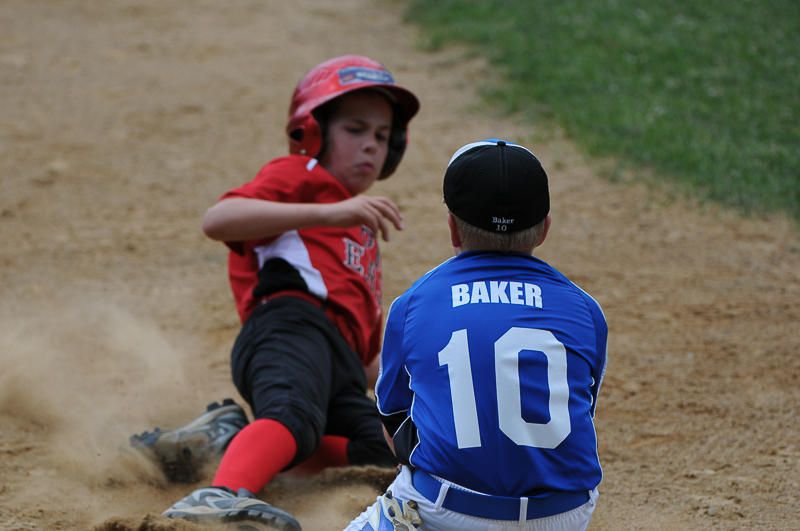 The task of a sports photographer is to capture the action of the players and tell the game’s story in our photographs. 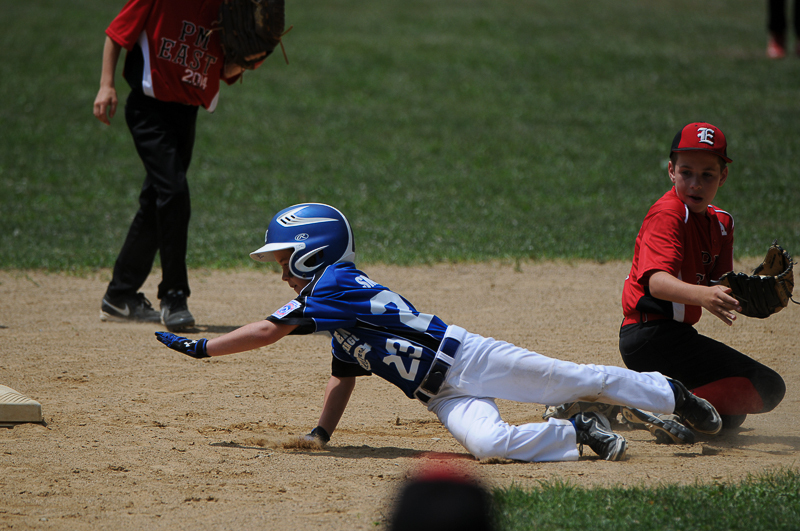 Knowing the game is essential and learning each player’s tendencies is crucial. For example, when you are looking down the barrel of your zoom lens through your viewfinder, can you predict when the batter will swing his bat? If not, you will most likely waste a lot of shots, and worse, you might miss some key moments. Learn to pay attention to minute details like the slight twitch of an arm muscle. This might be all you need to know to make the best next great sports photograph! 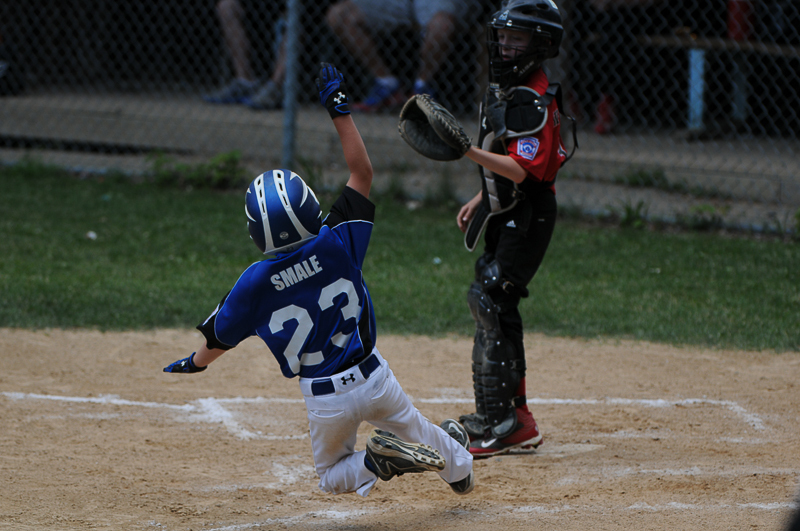 Tagged All-Stars, Baseball, Little League, Pocono Mountain East, Sports Photography, West End.